Instead of eating one meal that contains hundreds of calories, make sure that you eat healthy snacks throughout the day. If you continuously eat munchies that are healthy for you, you will notice a huge improvement in your body shape. Your body will become leaner and you will not feel bloated anymore. Snacks play an important part of our overall food regime. Some nutritionists say that choosing your snacks carefully is probably the hardest thing for people who like to indulge in foods that contain sugar. Nonetheless, if you want to achieve your weight goal, look slender and feel comfortable in any piece of clothing, you have to be careful and eat healthy snacks on a daily basis. Nowadays, even people who have a “sweet tooth” can choose hundreds of alternatives. 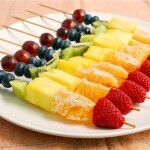 There are hundreds of healthy munchies you can indulge in, so you should not worry if your body craves sugar every day. You will easily find a healthy snack that will satisfy your sugar need. First of all, we have to say that you must be cautious when you choose your favorite munchies. Eating too many daily snacks can have a negative impact on your body. That is why you have to choose your snacks carefully. Some nutritionists believe that too many munchies on a daily basis can be bad for your waist and for your thighs. 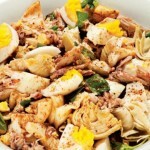 However, others believe that eating occasionally is much better than eating one or two big meals. Our conclusion is pretty simple – all you have to do is be patient and careful if you want to look slim and if you want to be healthy at the same time! For example, instead of eating a chocolate bar that is high on calories in the afternoon, eat berries dipped in Greek yogurt. 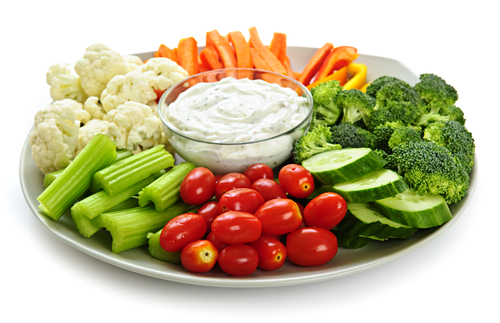 If you are not a fan of dairy products, you can eat tiny carrots, cherry tomatoes etc. Eating one ounce of almonds per day is a good alternative, too. If you eat regularly, you will not feel hungry and thus, you will not overeat. If you visit the gym frequently, you have to make sure that you eat more than two or three times a day. Women that exercise at least twice a week have to maintain a healthy diet plan. For example – when you wake up, drink one cup of natural orange juice and eat one banana. After that, you are ready for your workout session. If you go to the gym in the afternoon, make sure that you do not eat a huge meal fifteen minutes before you start working out. You should be careful and eat at least an hour before you start your daily workout session. If you go to the gym often, we recommend that you eat snacks like walnuts, hazelnuts, almonds etc. Also, you can eat a healthy candy bar with dry fruits, pecan, cashews etc. Remember that you should eat these snacks at least an hour before you start working out. 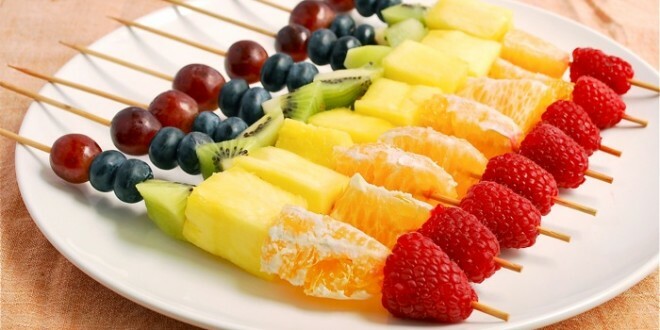 These snacks are healthy yet delicious at the same time. Therefore, you will not feel hungry while you are exercising. Hunger can make you feel weary and it can disrupt your regular exercise routine. You should avoid exercising if you are hungry because you will feel exhausted after your workout session. Also, you must know that being hungry while working out can damage your health. For that reason, eat a healthy snack before you start exercising. In order to maintain your healthy diet, you have to plan what you eat. If you eat an apple or a banana with two spoons of peanut butter in the morning, two pretzels after you had lunch, a frozen low-fat Greek yogurt in the afternoon and a huge bowl of popcorn while watching your favorite TV show – you are doing it all wrong! Even though these snacks are not harmful, they contain lots of calories! That is why you need to plan your meals and your snacks carefully. Even if you eat healthy most of the time, you must be sure that you are not overeating. Overeating can lead to unwanted weight issues. Sometimes, people can’t control their weight problems. That is why you have to be cautious and plan your daily snacks. Also, you should know that eating snacks every day is very important. We suggest that you start writing down the number of calories you have eaten throughout the day. When you have the number of calories in front of you, it will be much easier to realize whether you eat too many snacks on a daily basis. If you feel like you are eating too many snacks, you should start to decrease the amount of snacks you are eating. Do this slowly but steadily. First of all, you can stop eating too many snacks after breakfast. If you feel hungry but you do not want to eat something that is bad for you, eat an apple or buy a natural smoothie from the local supermarket. After that, stop eating snacks after 9 p.m. Eating snacks or meals after 9 p.m. is never a good choice, not even for people who eat extremely healthy and have a slender figure. The human body is not able to digest food at night as easy as it digests it in the morning. Therefore, avoid eating snacks or meals high in calories at night. According to several statistics that have come out in health journals throughout the years, people should eat every two to three hours in order to have a healthy metabolism. If you want to stay strong while exercising, you must maintain a healthy diet every day. Of course, you can have one “cheat day” if you feel like you have to eat a piece of chocolate cake or a huge cinnamon roll. However, you must be aware that you should not start eating unhealthy foods regularly. If you have a tendency to eat too much sugar, you should avoid having a “cheat day” and eat dark chocolate whenever you feel like you need to eat something sweet.